In today's technology driven culture, it's easy to get confused about who is a part of your social network and who is not. We constantly strive to increase the number of friends we have on Facebook and post religiously to ensure there is enough fodder to keep them interested in what we have to say. We tap into our email lists and those of our friends, former classmates, co-workers and neighbors to see if we can cultivate more relationships on-line. But what does it prove? How does it really help us? 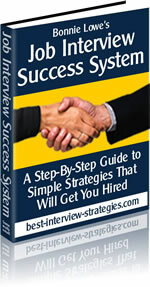 One way is to use social networking as job search networking. So, what are the risks and benefits of promoting your "friend" bases? First, it's important to understand what networking is all about. When an individual nurtures relationships for social, political or career-related pursuits, he/she is said to be fostering a positive networking experience. Networking is not necessarily about friendship. While there are likely to be friends in your network, the basis for being a part of your inner circle is not to get chummy, watch TV and tell jokes. It's about having a purpose and pursuing it. Note, that I didn't say "goal". I said "purpose". The distinction is vital to making a success of networking. If you have a goal, you can tap into your network and utilize your contacts to help you achieve that goal. If you have a purpose, you tap into your network and they tap into you in order to produce long-term results. The approach is different. Using your social network as a job search network is a purpose in that it is ongoing and reciprocal. Consider this, "Networking leads to a job for 46% of men and 39% of women" according to an article by Chris Mahoney on YourHub.com. Understanding who is a part of your network as it relates to your purpose is essential. Your college buddy's girlfriend is not likely to be a part of anything other than a social network. The people you want to develop relationships with for long-term career or political aspirations should have some connection to the field in which you want to work. That isn't to say that "social networks" with your cousins and neighbors doesn't hold value. Those networks are valuable, too, but likely for different reasons. When you make posts on social sites, understand who your target audience is and post accordingly. Are there risks involved with social networking? You bet there are. All it takes is one brain-dead post about how mad you are at your boyfriend and want to torch his car and you've potentially disqualified yourself from a myriad of options (career, academic and political) that you would otherwise had open to you. Consider your posts carefully. If you have posted anything - and I mean ANYTHING - that might be construed as inappropriate, such as foul language, boasts about how much you can drink, descriptions of your private tattoos, or anything similar, delete them immediately. Your future is far too important to let a few free-flowing posts exclude you from the dream life you could have. Is it true that "the more friends the better"? It can be a double edged sword. If you have a lot of "friends", then those relationships are harder to nurture on a personal level. However, if you need to cast your net wide for a job for instance, then having a large friend base can be beneficial. Only you can decide how many people in your social network is enough. Social networking has its place in promoting your aspirations. You just have to be sure you think through the type of relationships you wish to nurture then work effectively to cultivate those relationships in an appropriate manner. As with all things, what takes the most work usually provides the biggest payoff. Using your social networks for job search networking certainly has its place. Just be sure you give as much (or more) than you get.